In the last 12 months 28 new churches have chosen BB as their partner in outreach and mission with children and young people in the local community. We are stronger together when we work together for the kingdom of God, and that’s why the idea of partnership is really important. We say that The Boys’ Brigade works in partnership with the church, but what do we mean by this and what can this partnership look like? From its beginning The Boys’ Brigade has always been firmly rooted in the church and integral to its mission and outreach and it’s wonderful to see that, just like North Woodside Mission Church in 1883, churches today are still choosing BB as their partners in reaching young people. 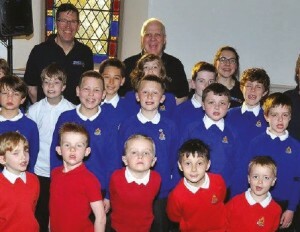 In 2016, by partnering with The Boys’ Brigade, more than 1300 churches bring thousands of children and young people across their doorsteps each week. Today we have churches that laid down their BB roots in 1883 and churches that have opened BB Companies in the last month. In this issue, we speak with churches that have relatively recently started their BB adventure and get an understanding of why this partnership is so important to them. Alderholt Chapel, located in the Dorset village of Alderholt, is the home to the 1st Alderholt Company which started up in June 2011. The church’s roots go back hundreds of years, having been on their current site since 1923, but during that time had not partnered with the BB before. The Company has grown rapidly over the last 5 years with up to 100 children and young people attending weekly activities. Rev Chris Bishop, Pastor at Alderholt Chapel said in starting the Company, “This is the first time I have come across BB; it was something new to our church and the majority of our membership. It was fantastic that when we first started talking about BB fourteen potential leaders came forward and we sensed it was right for us as a church once we saw the enthusiasm and energy in the volunteers coming forward to get involved and be trained as leaders. The Company started with an Amicus group and has expanded the age range over the past 5 years, working its way down to work with young people from age 4 to 18 years. The 1st Alderholt has a programme which has included a wide range of activities from sand-sledging to cookery and crafts to forest adventures (inc bush craft and den building). The Company also has a strong DofE programme with more than 20 young people currently engaged in Bronze, Silver or Gold awards. Rev Jon Paterson, who had been a member in 1st Stevenston as a boy shared something about his experience of BB as Lead Pastor at the Chapel. “As a Church we’ve trusted in The Boys’ Brigade to build bridges into the community we wouldn’t have otherwise had. We’ve looked at what was working well already through our existing youthwork and where BB fitted into this. Taking what BB offers flexibly has been extremely fruitful – bringing in children and young people from both our village as well as the surrounding area”. Allan Park South Church, located in the heart of Stirling, is home to the recently reformed 4th Stirling Company. Over the past few years, the Company has grown steadily and now has members in Anchor, Junior and also Company sections. The church undoubtedly sees the BB as an integral part of its outreach. World Harvest Christian Centre, located in Manchester is the home to 2nd Clayton Company which started in October 2015. The Company launched with the Anchors and Juniors age groups, however it soon became apparent that some of the teenagers within the church wanted to become involved and they have been volunteering within the Company. The Company held its first Enrolment Service in October and has lots planned for the future. They are slowly but surely becoming a presence within their local community most recently having held a fundraising bag pack in their local supermarket. Do these stories reflect your experience of working in partnership with your church or is it time to look afresh at ways to strengthen the relationship? A booklet has been produced entitled ‘Faith In The Company’, which includes some useful starting points for Church and BB leadership to re-engage in joint mission. Download the ‘Faith in the Company’ booklet.